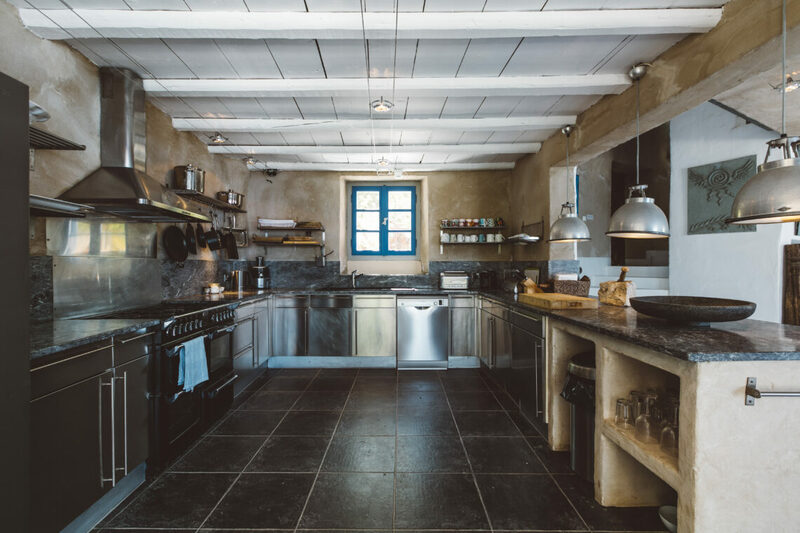 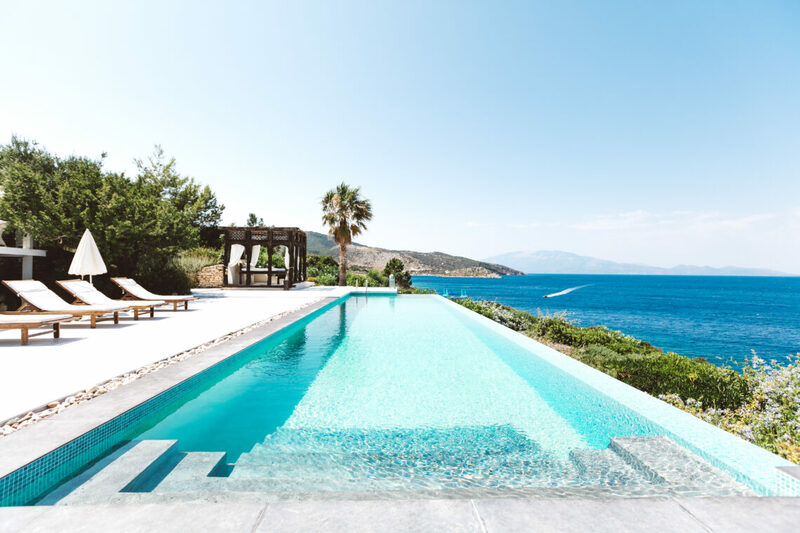 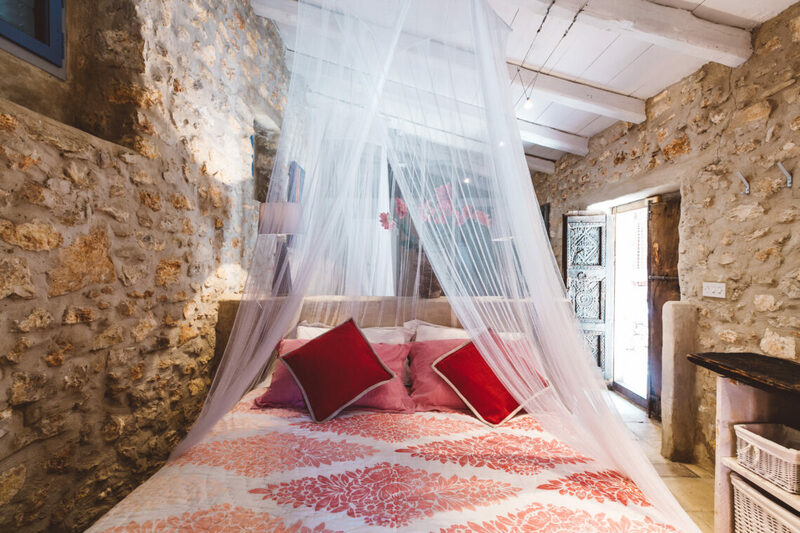 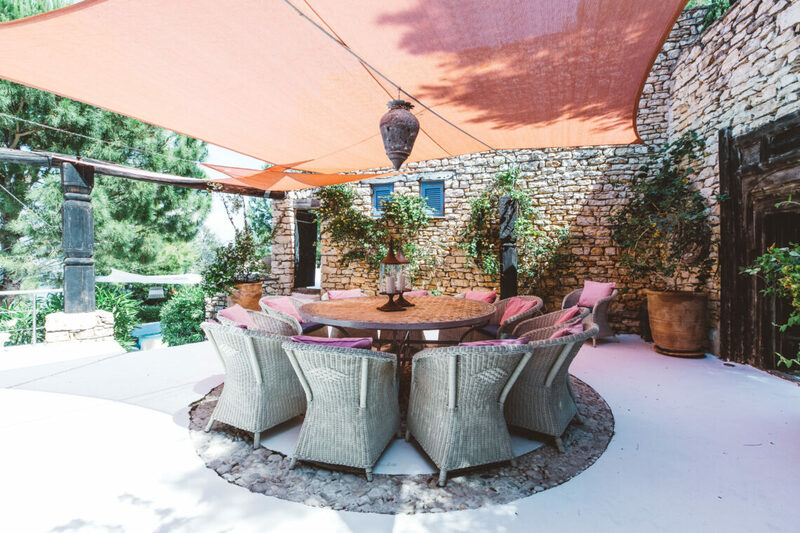 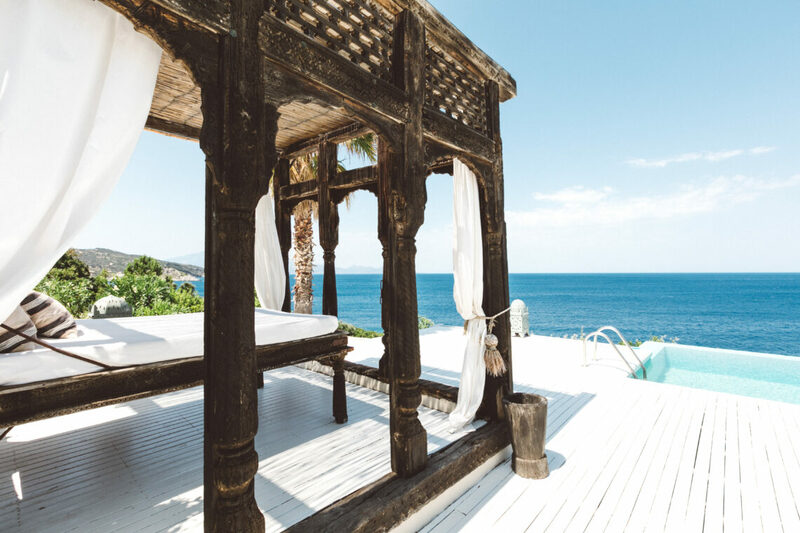 For a celebration or just an indulgent week away, Figari is Greek villa living at its very best. 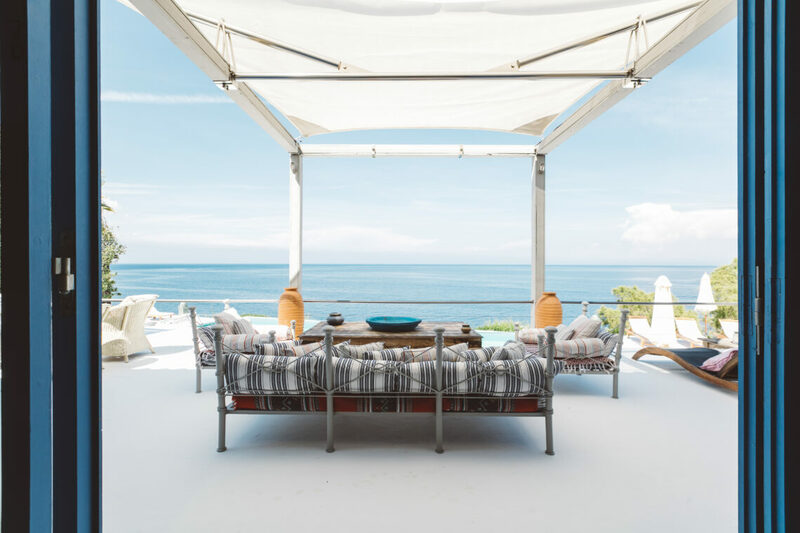 Right on the seafront with extensive outdoor terraces and space, it’s only moments away from the Peligoni club. 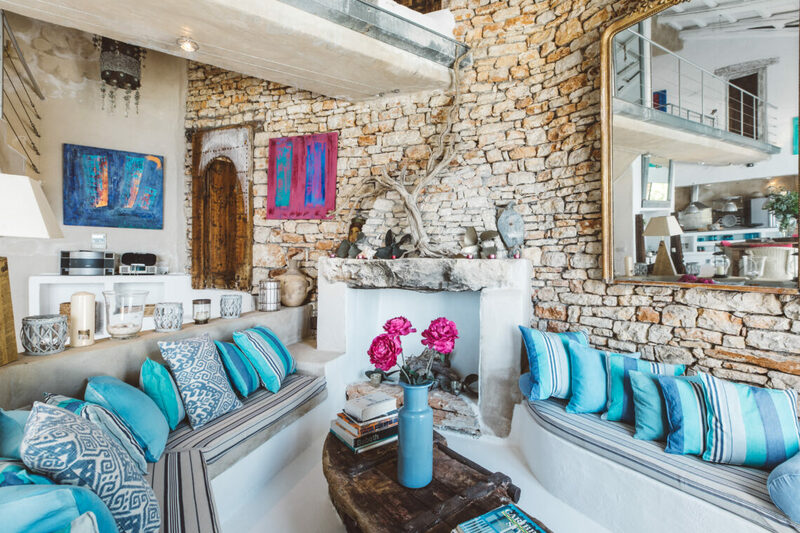 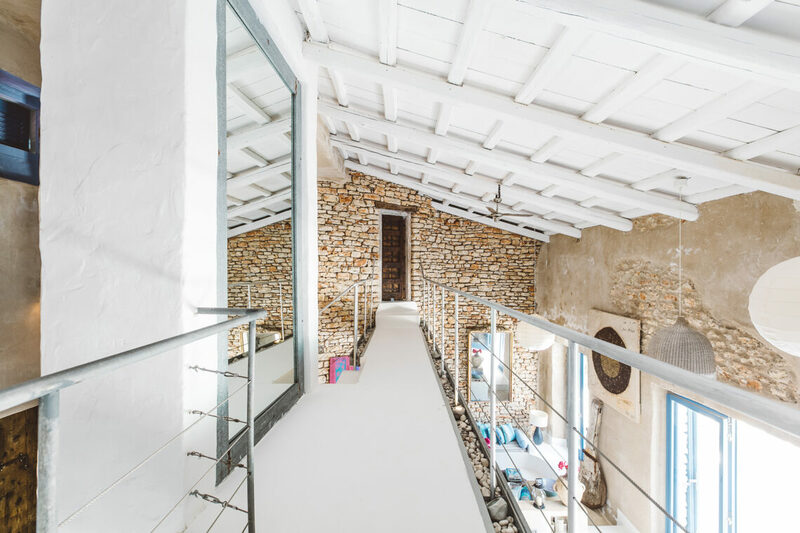 Contemporary in design, it’s built in local stone, and stunningly decorated, with the accommodation arranged over several levels. 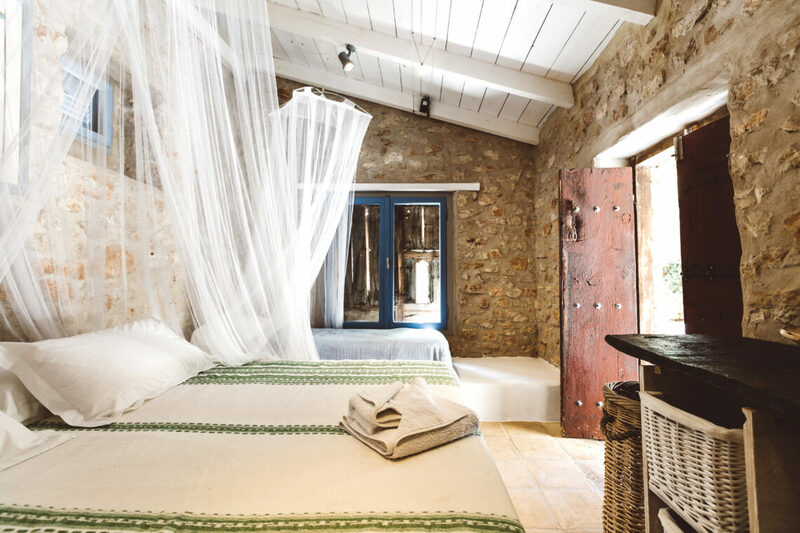 Two master bedrooms, three double rooms each with their own balcony or terrace, two triple rooms, two twins and a dorm with a double bed and two singles, are perfect for a large family gathering or a group of friends. 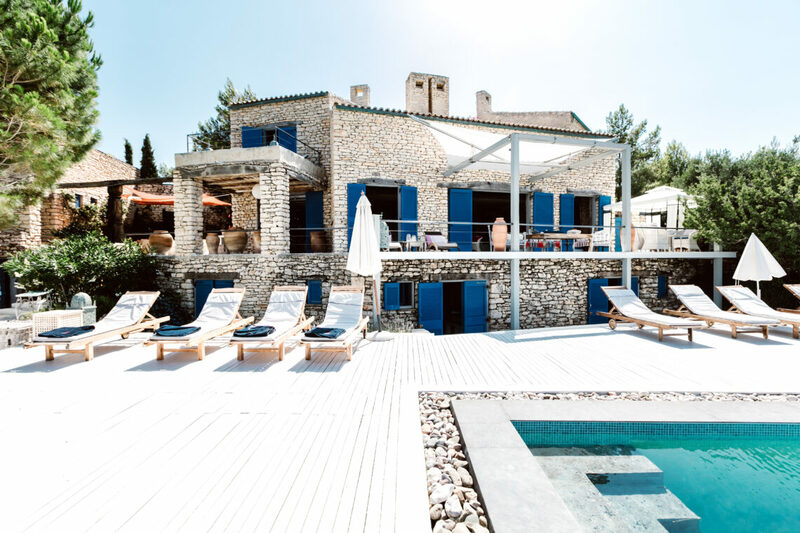 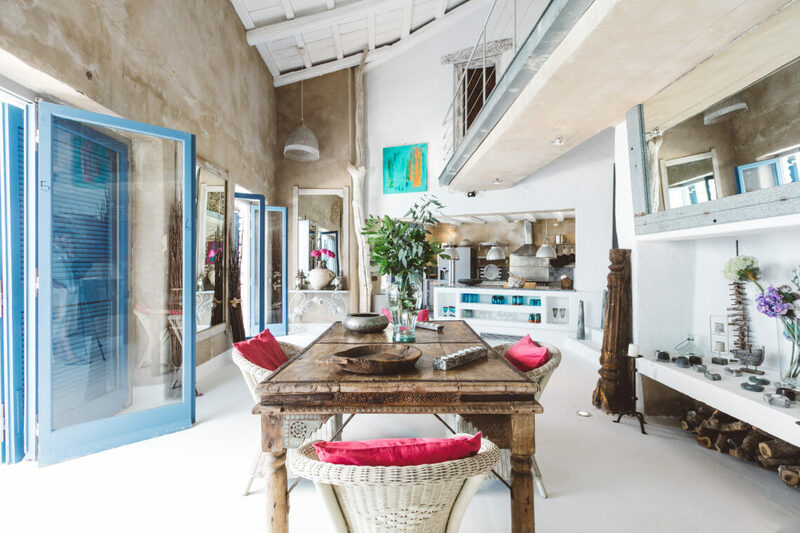 There’s an indoor and outdoor kitchen, and so many places in an around, for sunbathing or snoozing in the shade, whilst the pool seems to blend in with the sea.